Dwelling together with the Apostle on Olympus (namely, Heaven). Gathered by the sword, you bloom again in the heavens. Together with joy he rejoices unusually. With the many he quickly brought to God saved. And further sacrificed his soul to the Lord. With mortal words unbinding irrationality. On the tenth the five apostles passed beyond life. I see you Tertius as a new author. These five Saints were numbered among the Seventy Apostles of the Lord. All are referred to in the 16th chapter of the Apostle Paul's epistle to the Romans. Olympas is mentioned in Romans 16:15: "Greet Olympas." Rodion is actually called Herodion in Romans 16:11: "Greet Herodion." Both of these Saints accompanied the Apostle Paul and were beheaded in Rome under Emperor Nero in 54, on the same day the Apostle Peter was crucified. 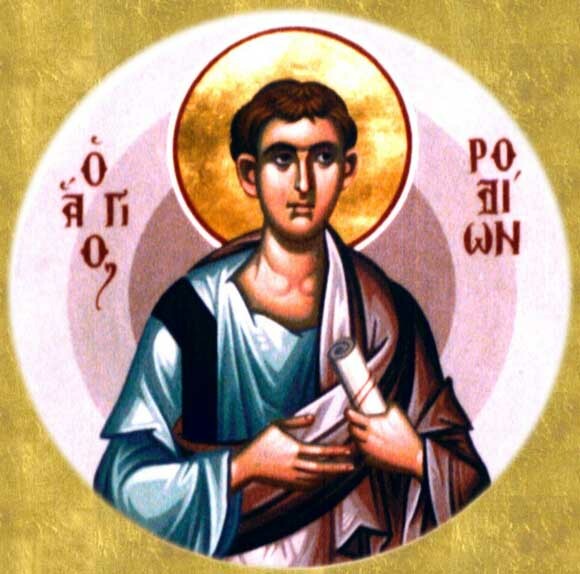 Herodion specifically became bishop of Patras, where he suffered greatly. After beating, stoning, and stabbing him, they left him for dead, but Saint Herodion arose and continued to serve the Apostles. He is celebrated also on March 28th. Erastus is mentioned in Romans 16:23: "Erastus, who is the city’s steward, sends his greetings." 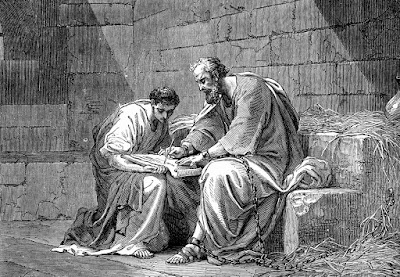 Erastus had been the steward of the city of Corinth, from where the epistle to the Romans was written. He served as a deacon and steward of the Church at Jerusalem and later became Bishop of Paneas in Palestine, where he reposed in peace. 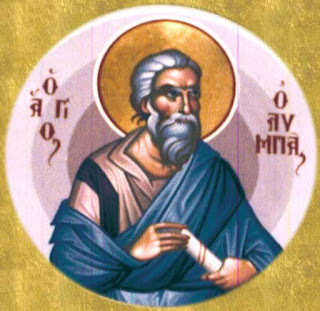 He is also mentioned in Acts 19:22: "And having sent into Macedonia two of his helpers, Timothy and Erastus, he himself stayed in Asia for a while," and 2 Timothy 4:20: "Erastus remained at Corinth, and I left Trophimus, who was ill, at Miletus." Sosipater is mentioned in Romans 16:21: "Jason and Sosipater my relatives send their greetings." 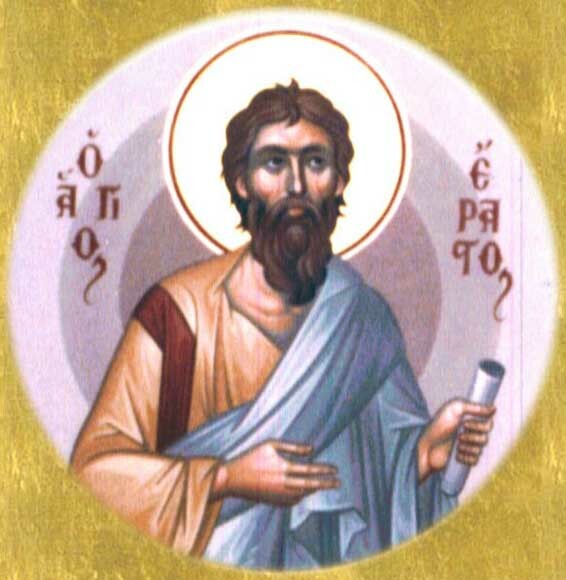 Born in Achaea, he was Bishop in Iconium by his relative the Apostle Paul. With the Apostle Jason he traveled to the island of Kerkyra where they built a church in honor of the Apostle Stephen the Protomartyr and converted many pagans to the Christian faith. They are celebrated together on April 29th. He reposed in peace after a successful mission in Kerkyra. Quartus is mentioned in Romans 16:23: "Our brother Quartus sends you his greetings." He became the Bishop of Beirut, and after undergoing many trials there, and converting many pagans, he reposed in peace. Tertius was the second bishop in succession after Saint Sosipater in Iconium, where he converted many pagans to Christ through his words and deeds done in the power of the Holy Spirit. 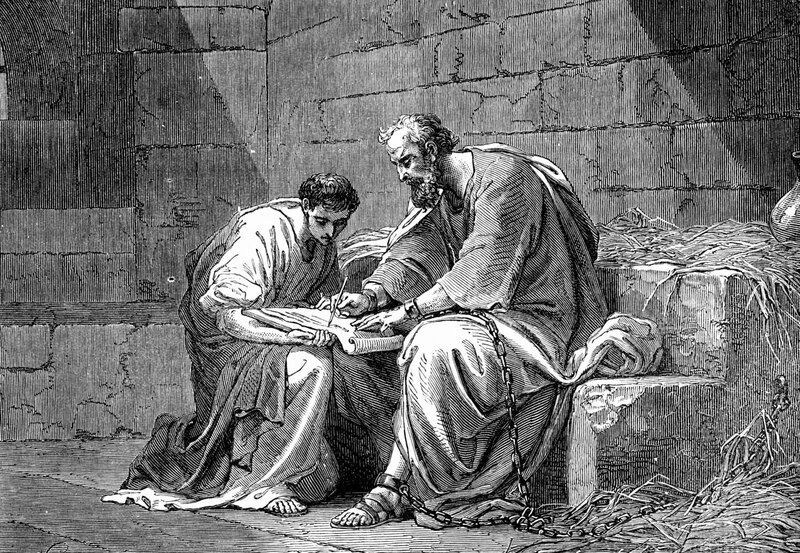 He was also the writer of the Apostle Paul's letter to the Romans, as we read in Romans 16:22, "I, Tertius, the one writing this letter, greet you in the Lord." Some synaxaria do not include him on this day, since he is also celebrated on October 30th. 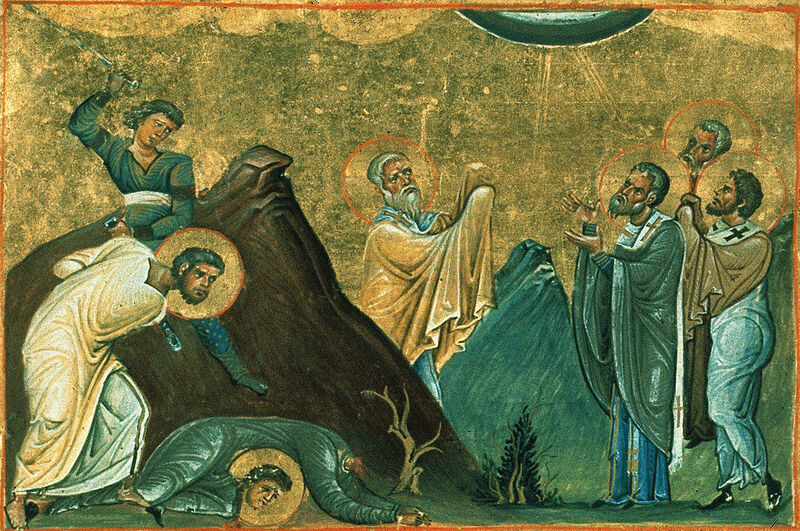 Holy Apostles, entreat the merciful God, to grant our souls forgiveness of transgressions. Enriched with wisdom you were radiant lights of godliness, and interpreters of the word of God while preaching Christ. 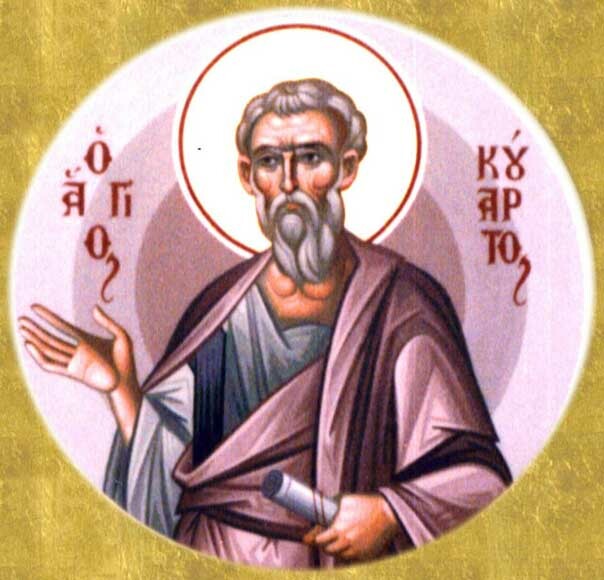 O holy Apostles Quartus, Erastus, Tertius, Olympas, Sosipater and Herodian, you are guides of our hearts and souls. You wisely destroyed the works of idolatry, illumined by divine Light, O holy Apostles. When you caught all the pagans you brought them to the Lord, and taught them to glorify the Trinity.